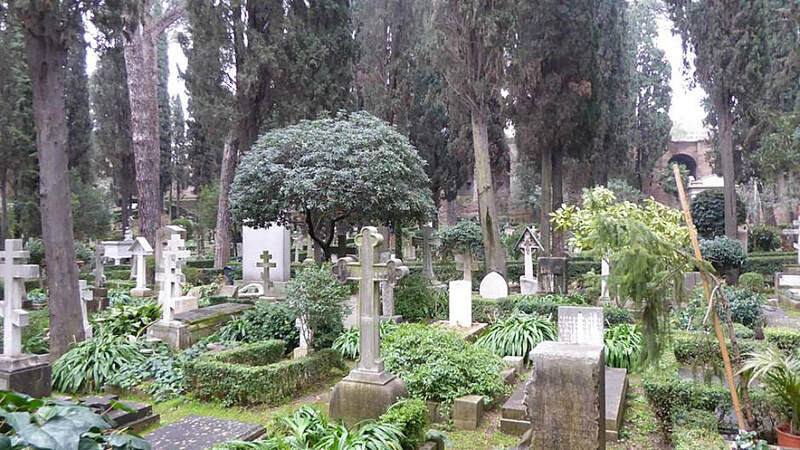 Rome (Testaccio) Protestant Cemetery, is on the South side of the city, at the Porta san Paolo. 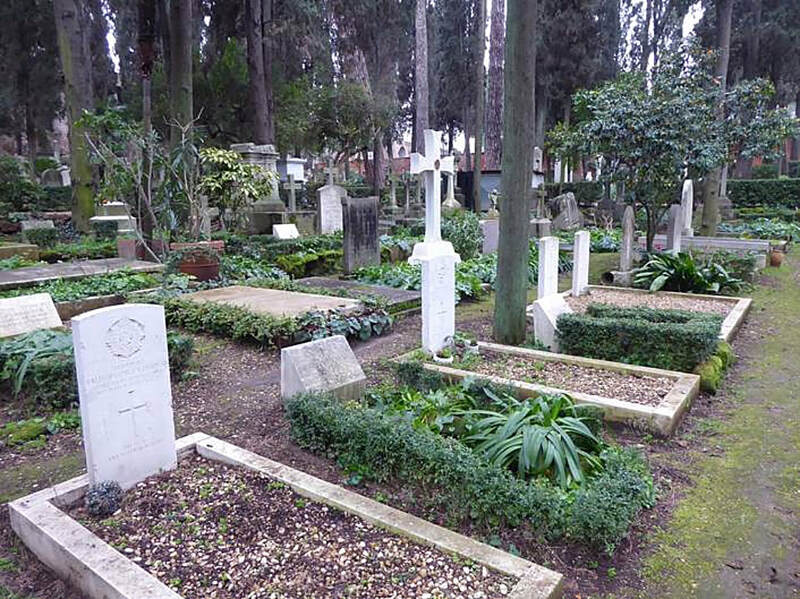 The war graves are located beyond the chuch, in Plot n.6 and Plot n.3. 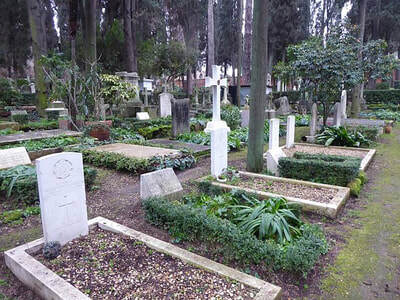 Cemetery address: Via Nicola Zabaglia, 45, Roma (Lazio). The Italians entered the war on the Allied side, declaring war on Austria, in May 1915. Commonwealth forces were at the Italian front from November 1917. 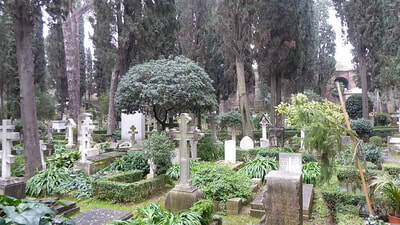 Rome (Testaccio) Protestant Cemetery contains six Commonwealth burials of the First World War, two of which were brought in after the Armistice from Verano Cemetery, Rome. 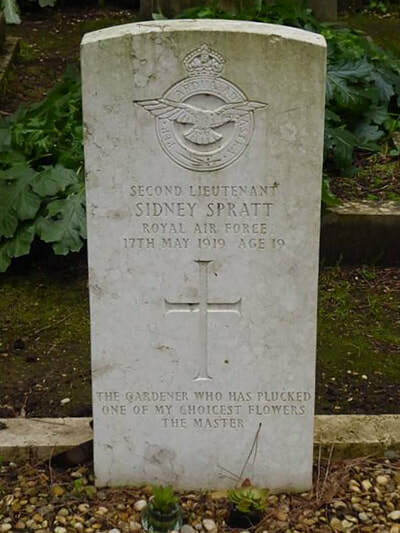 There is also one Second World War burial. 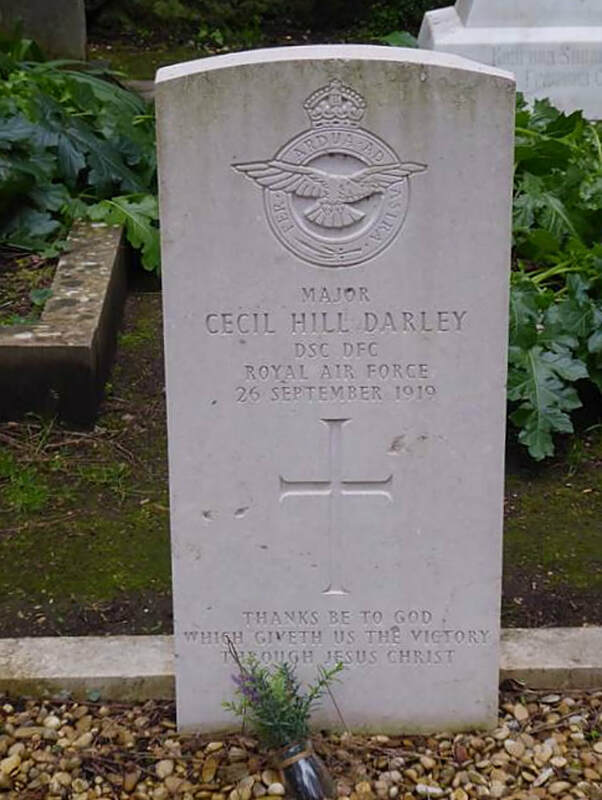 Captain Cecil Darley, D. S. C. and Bar, D. F. C. Cross of Military Merit (Spain), 274th Squadron, Royal Air Force, died 28th September 1919, aged 30. 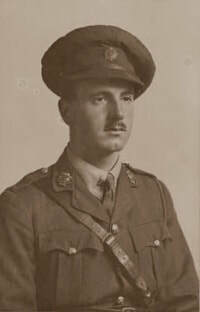 Son of Charles Edward Darley (I.M.R. Commander, Mercantile Marine) and Emily Louisa Darley, of Caynton, Salop. 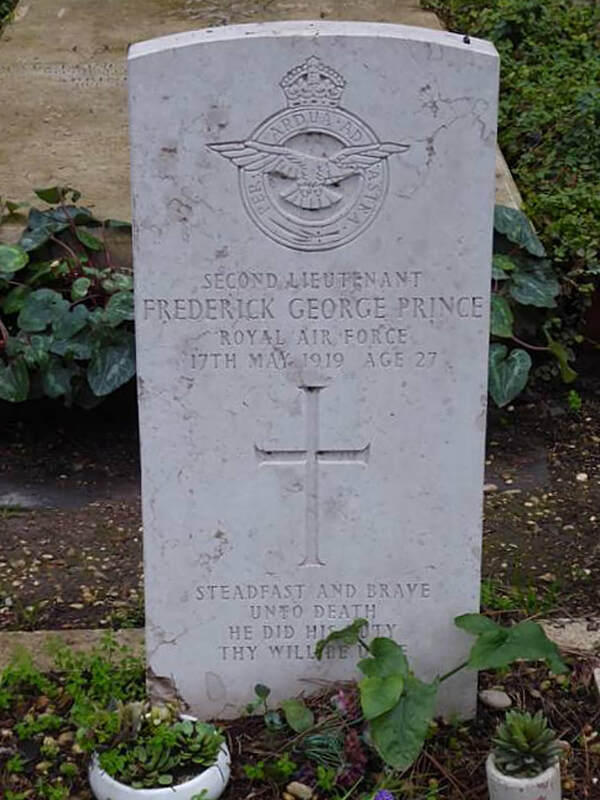 Second Lieutenant Frederick George Prince, 58th Squadron, Royal Air Force, died 17th May 1919. Only son of Frederick John and Elizabeth Prince, of 47, Rosendale Rd., Dulwich, London. Second Lieutenant Sidney Spratt, 58th Squadron, Royal Air Force, died 17th May 1919, aged 19. Son of Henry and Sarah Spratt, of 217, Sea View Rd., Wallasey, Cheshire. 112179 Private Clifford Stephenson, 79th General Hospital, Royal Army Medical Corps, died 10th December 1918. 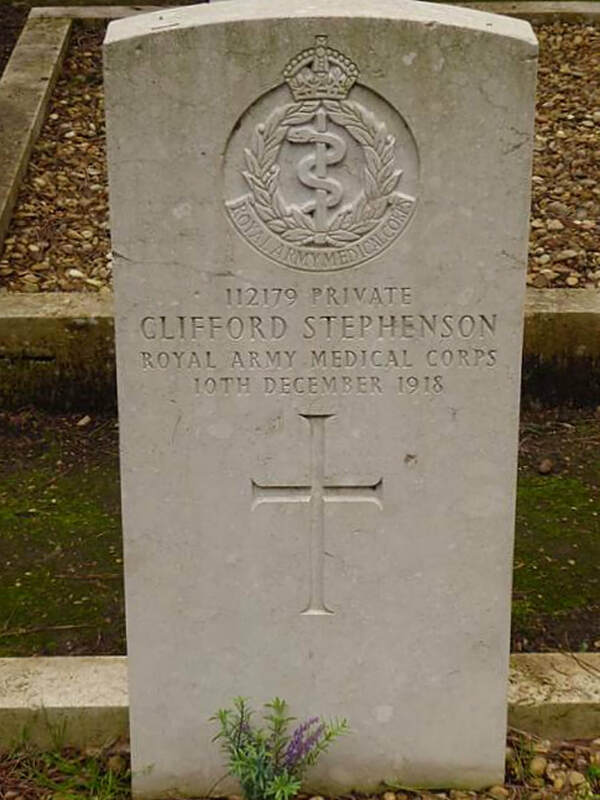 Husband of Eleanor Stephenson, of 11, Aston St., Bramley, Leeds. 494498 Lance Corporal Francis Augustine Teucher, 477th Field Company attached to 48th Division H. Q. Royal Engineers, died 3rd February 1919, aged 29. 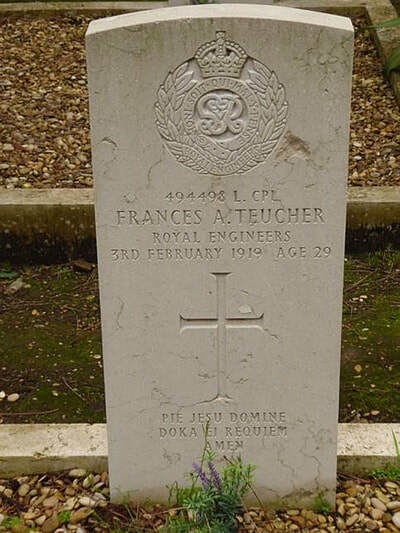 Son of Frederick and Emily Teucher, of 1, Hill Avenue, Totterdown, Bristol. 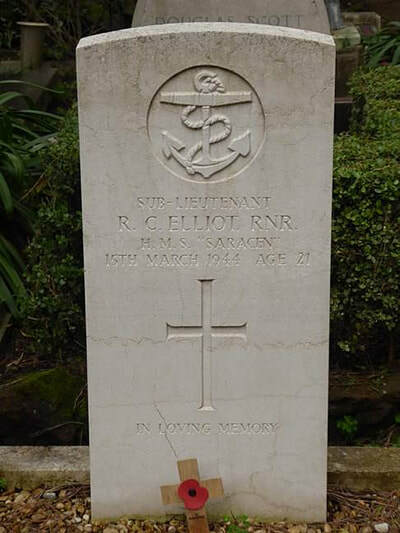 Sub-Lieutenant Royal Charlton Elliott, H. M. S. Saracen, Royal Naval Reserve, died 15th March 1944, aged 21. Son of Christopher Charlton Elliott and Margaret Elliott. 1st March 1919, aged 25. 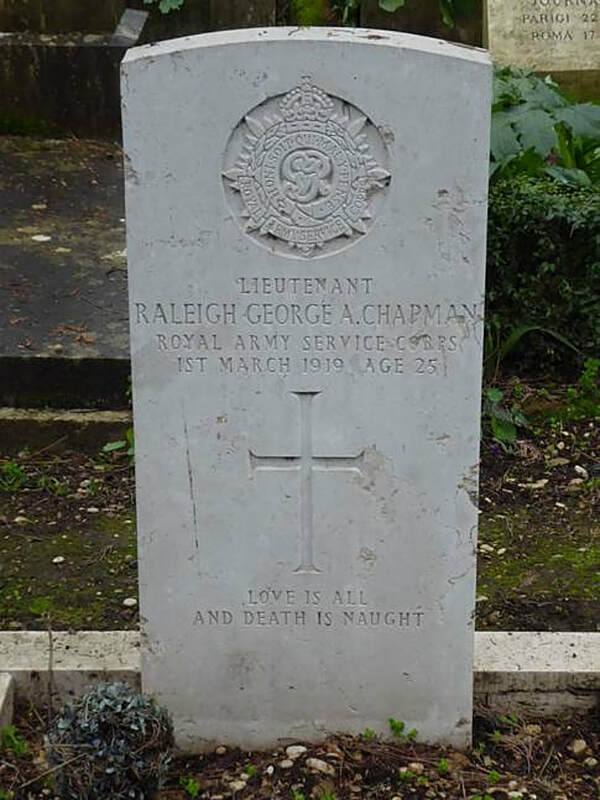 Son of Wellesley Pole Chapman and Eleanor Chapman, of Dublin; husband of Helen Chapman, of 38, Westbourne Terrace, Paddington, London.